Often we see in forums, or hear people ask, "why don't visitors buy from my online store?". Of course there are many potential answers to this question. It could be issues like design and user experience, maybe the prices are too high, maybe it is shipping cost. Understanding why people do not buy can be hard. The starting point is to use a good web analytic system to track what your visitors are doing and then use the results to improve your business and conversions. This can often show that visitors will start a basket but then abandon it before checkout. By looking at the step of the drop out you can often find a cause. However sometimes it is not so clear. Often you might hear that an online seller is selling product on eBay but, the same products for the same price, don't sell on their online store. So what is the difference they ask. Well 9 times out of 10 it is TRUST. eBay has built a reputation as being a safe marketplace. The buyer and seller are connected via eBay and PayPal. If a dispute arises there are very defined methods to resolve the dispute. So a buyer may not know or trust the seller but they do know and trust eBay. 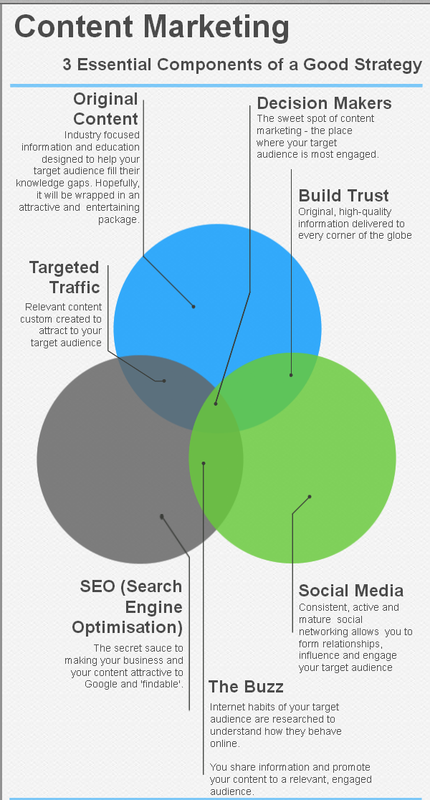 What are the trust factors online? So what does trust mean? "Firm belief in the reliability, truth, ability, or strength of someone or something." If you have not had dealings before then it is difficult determining that you will trust a business or online store. So you need to look for the signs of trust. Following are some of the key items that you should make sure are covered correctly in the content of your online store. Contact information - always provide contact information like an address, phone number (not a mobile), business email address and business credentials (ABN, ACN, Business Registration). Avoid using generic email addresses like hotmail addresses. About us - tell your visitors a little about your business. Information like when it started, who is involved, what the business does. All this will help people know you and help them develop trust. Contact us - provide a simple email form that allows people to easily send you a message or get in contact. Live chat - if you have the capability enable a live chat service on your site so that people can directly communicate. Terms & Conditions - provide people the right legal information about doing business with you. Returns and Refunds - make it clear to your visitors how you will accept returns of products and how you will handle refunds. Make it as simple as possible. Payment processing - tell your customers up front how you will handle payment and who is processing your payments online. Make sure that any payment service provider account is in the business name. Put the payment provider logo on your website. SSL Certificate - install and use an SSL Certificate in your business name and prominently display the certificate provider trust logo. Spelling and grammar - make sure that you properly proof read your content and get others to check your content. Simple spelling mistakes can cause a visitor to move on to another website. Ratings and review - if you have the capability make sure that you enable ratings and reviews for your products. 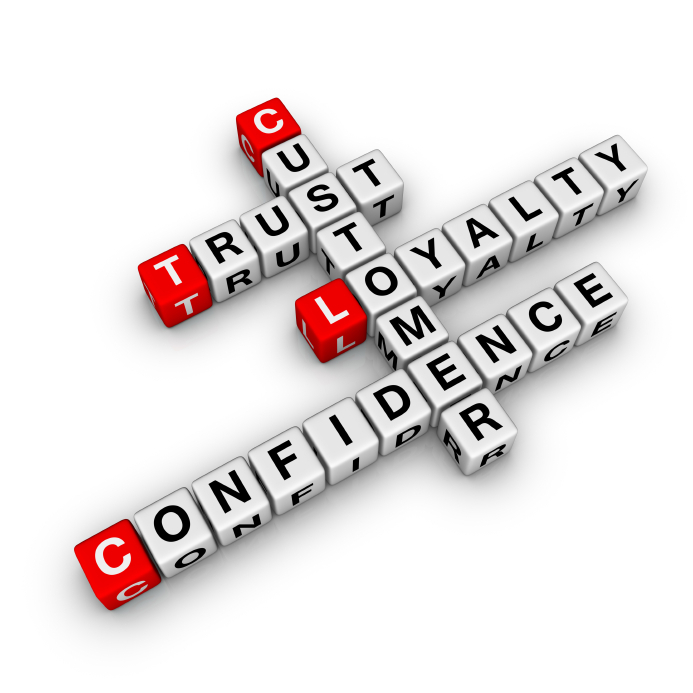 Real customer ratings can pass on good information and trust to future customers. Customer references - Have you done a nice job for a customer that they are happy to talk about? If the answer is yes them post it up on your website. Good customer references are a great way of instilling confidence in future customers. If you provide all the basics and ensure that they are clearly visible and easy to find then you will improve your overall trust score. That will result in an improvement in your business reputation which has a longer term beneficial impact on your business results. Improving trust and reputation is a long term issue and should always be work in progress. Never stop looking for better trust. Eventually you may want to exit the business by selling or merging. Better reputation and trust means better good-will and therefore a higher valuation or multiplier.